My first ever experience with a hot air balloon was in 2011. My sister and I were road tripping across the US, and booked a sunrise balloon flight over Monument Valley on the Arizona/Utah border. Floating above the rust-colored rock formations and tall sandstone buttes, I couldn't image a better balloon experience. 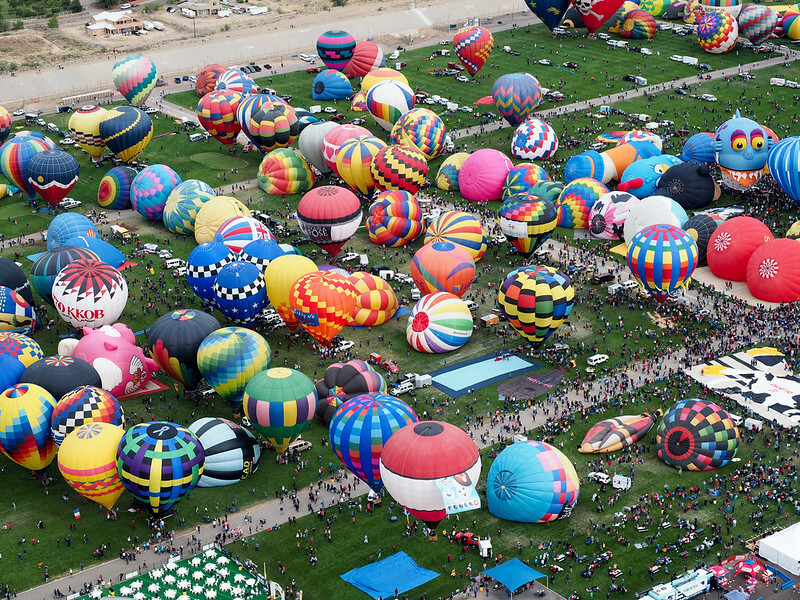 But I hadn't been to Albuquerque in the fall for the International Balloon Fiesta yet. 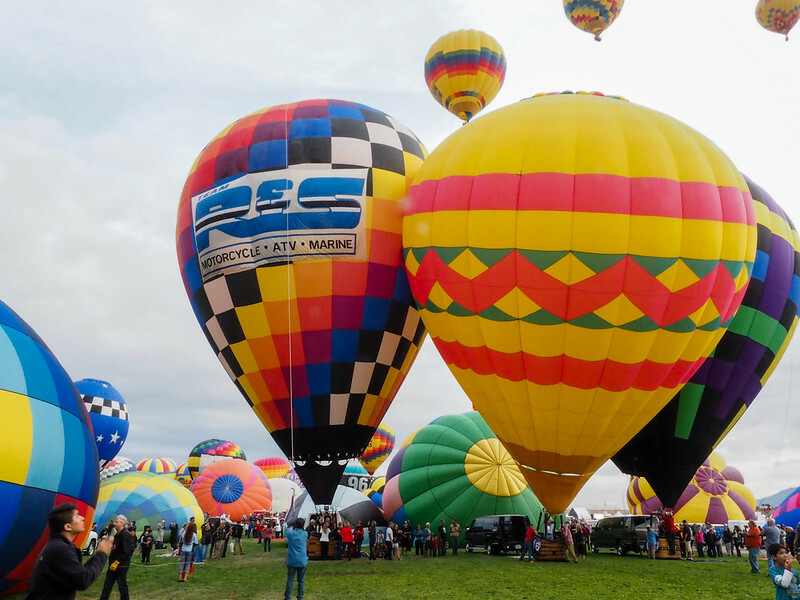 Each October for the last 44 years, balloonists from all corners of the globe have descended upon New Mexico for the . 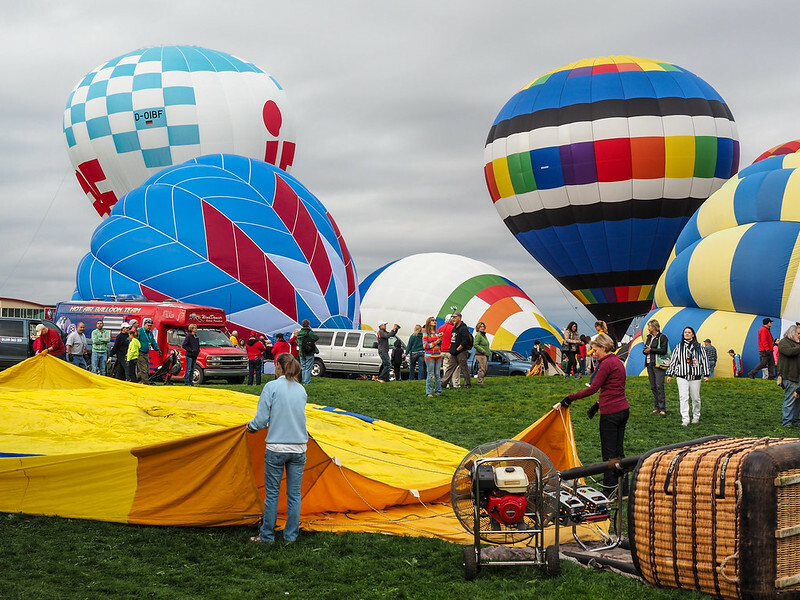 The first year only boasted 13 balloons – but now more than 500 show up to Balloon Fiesta Park each autumn. Going up in a single hot air balloon is pretty awesome. But ascending into the sky with hundreds of others? THAT is something I'll never forget. My alarm went off at 3:30 a.m. I groggily grabbed my phone, momentarily forgetting why the hell I was waking up in the middle of the night. But then I spied my Balloon Fiesta media pass on the bedside table and remembered: we had to beat the traffic and get to Balloon Fiesta Park before sunrise. Arguably the most impressive part of the 9-day event is the mass ascension that takes place nearly every morning just after sunrise. This is when the hundreds of participating balloons inflate and rise into the morning sky together – in 2015, nearly 550 balloons participated, with hundreds of those ascending each morning. 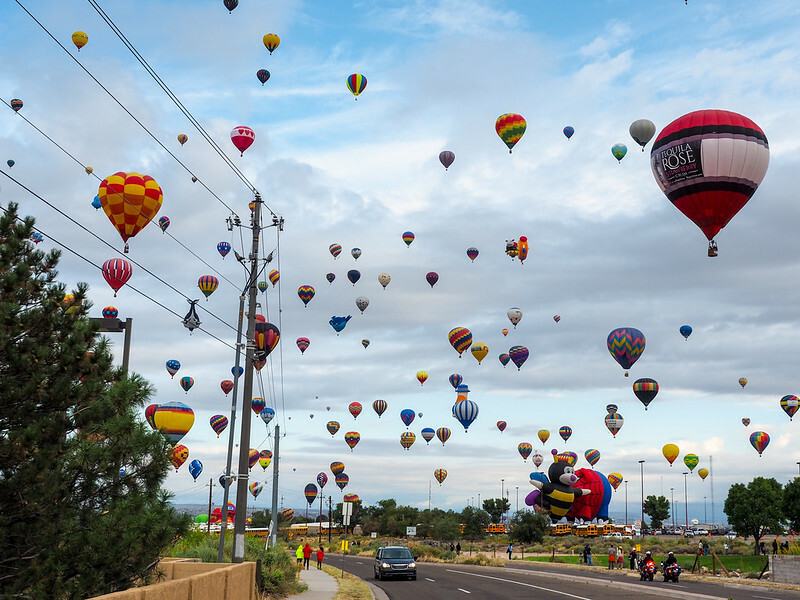 But, in order to see the iconic ascension, you have to get to Balloon Fiesta Park EARLY. Like, before 5 a.m. early. My friend Lisa and I wanted to get there *extra* early to ensure we got decent parking and so that we could get to the media tent to put our name on the balloon ride list. We got to the 360-acre Balloon Fiesta Park before 5, parked easily (they're very efficient after having done this for 40+ years), and made our way through the main “strip” of food vendors and souvenir stands toward the media tent. Even before sunrise, the breakfast burritos and New Mexican coffee were already being purchased en masse. And then it was time to wait. 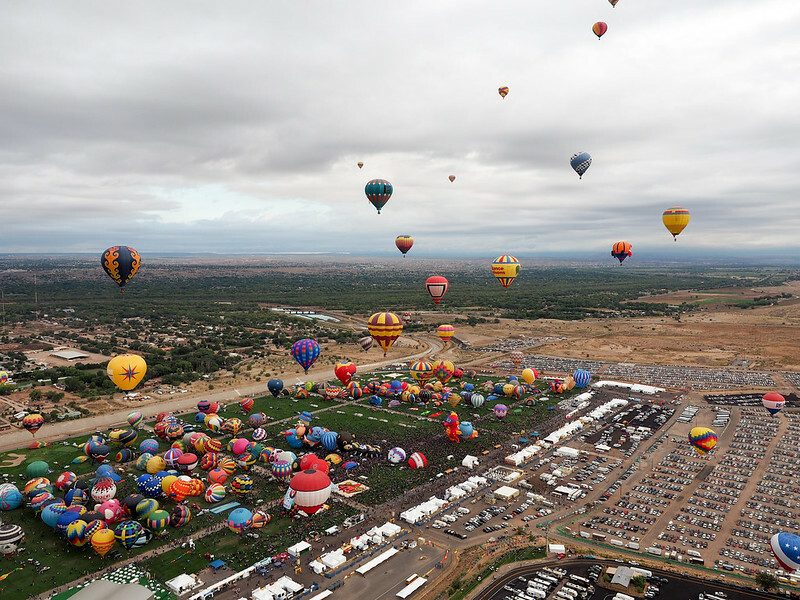 The Balloon Fiesta has had such success in Albuquerque because the city is known for having mild weather in October, and also is known for the “Albuquerque Box” – a unique weather phenomenon helped by the city's geography that makes for near-perfect ballooning conditions. Of course, though, nothing is ever perfect when Mother Nature is involved. As the sky turned from black to gray and we watched the morning news reports inside the media tent, the fear was that it would be too windy for the balloons to ascend. But, the closer we got to mass ascension time at 7 a.m., the more apparent it became that the opposite was true – there wasn't enough wind. 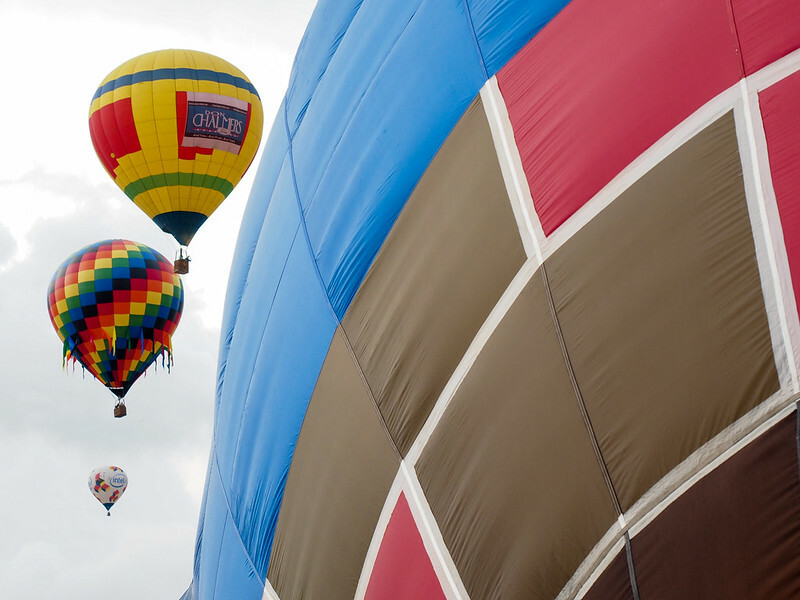 I was bummed – the mass ascension was what I was most looking forward to, regardless of whether or not we'd get to ride in a balloon. If there was no wind, it meant that the balloons couldn't launch. It was touch-and-go for hours, but after a test balloon bearing the American flag rose into the air to strains of the national anthem and floated gracefully off to the west, the mass ascension was given a green light. The next hour was a bit of a blur – both Lisa and I got assigned to balloons for media flights, and I was ushered off to meet up with the crew and pilot of the Humpty Dumpty special shape balloon. Pilot Rich was keeping an eye on the wind and weather, and wanted to get up in the air as quickly as possible. You wouldn't think that 105,000 cubic feet of hot air could be pumped into a balloon in under 15 minutes, but it absolutely was. Before I knew it, we were lifting off in the first wave of Sunday's mass ascension with dozens (maybe even hundreds) of other balloons. 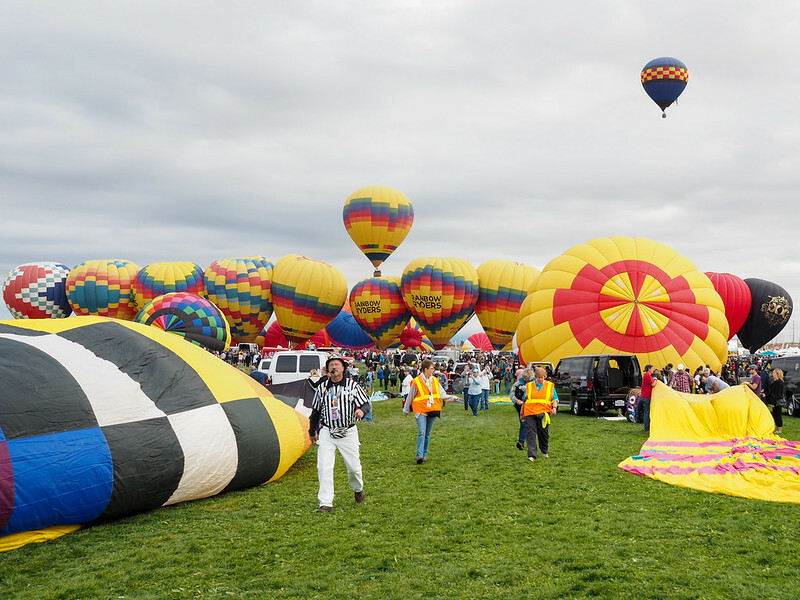 Our flight wasn't very long – in fact, we barely made it to the overflow parking lots of Balloon Fiesta Park before Rich decided to put Humpty down. There was rain coming in, and the wind was also dying down again. Rich put us down expertly on a road, and then I helped roll Humpty back up once the crew's chase team showed up. The thing you don't think about when you think of an event like this is the fact that there's no *steering* a hot air balloon. You can go up and down using the air in your balloon, but you are completely at the mercy of the wind when it comes to which direction you fly. There were lots of balloons coming down in parking lots! Lisa ended up leaving late in the second (and last) wave of the mass ascension, and the wind had picked up by then. Her balloon flew for miles and ended up putting down on a reservation outside of Albuquerque and had to wait to be escorted off by local authorities. Not ideal, but again not really something a balloon pilot can always control! I thought I'd already had the best hot air balloon experience years earlier at Monument Valley. But I have to admit that being part of the International Balloon Fiesta was its own kind of special. If you ever find yourself in New Mexico around this time of year, be sure to check it out! 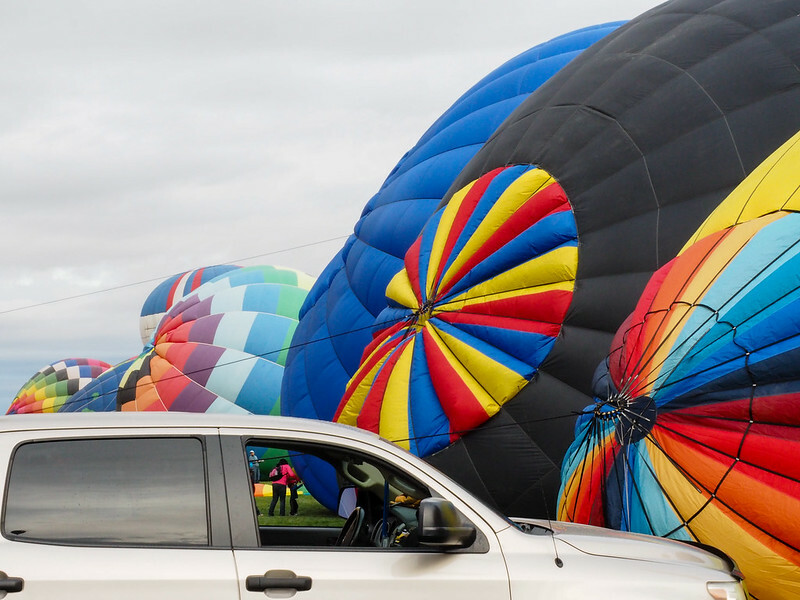 How much: General admission to the Balloon Fiesta is $10 per session (and there are generally two session per day, one in the morning, and one in the evening); parking is $15 per car. Getting there: There's a lot of parking at Balloon Fiesta Park, but there's also a available if you want to skip some of the traffic. Where to stay: This is a HUGE event each year, and hotels often sell out. 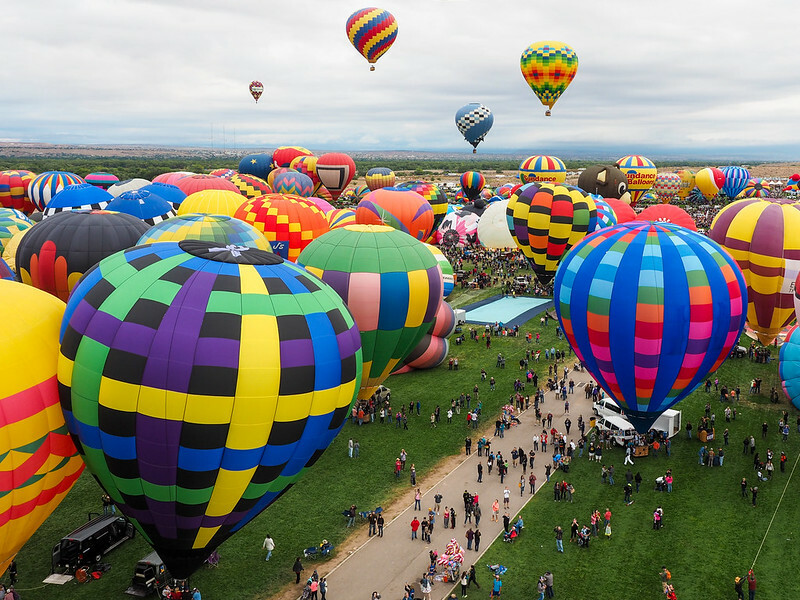 You can easily reach Balloon Fiesta Park from anywhere in Albuquerque, though, so don't be too concerned with where you can find a room. Lisa and I stayed at a hotel near the airport the night before we planned to go see the mass ascension. – One of the highest-rated budget hotels in the city. 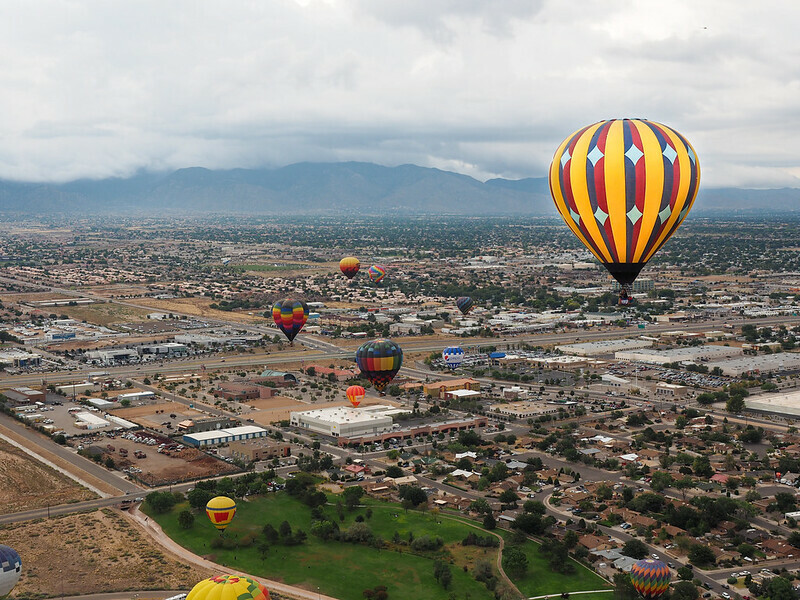 – Close to the airport, and not far from Balloon Fiesta Park. – In case you want to be closer to the historic center (and Route 66!). How early should you go? We were advised to get there before 5 a.m. in order to get parking and be able to see the Dawn Patrol and Mass Ascension. 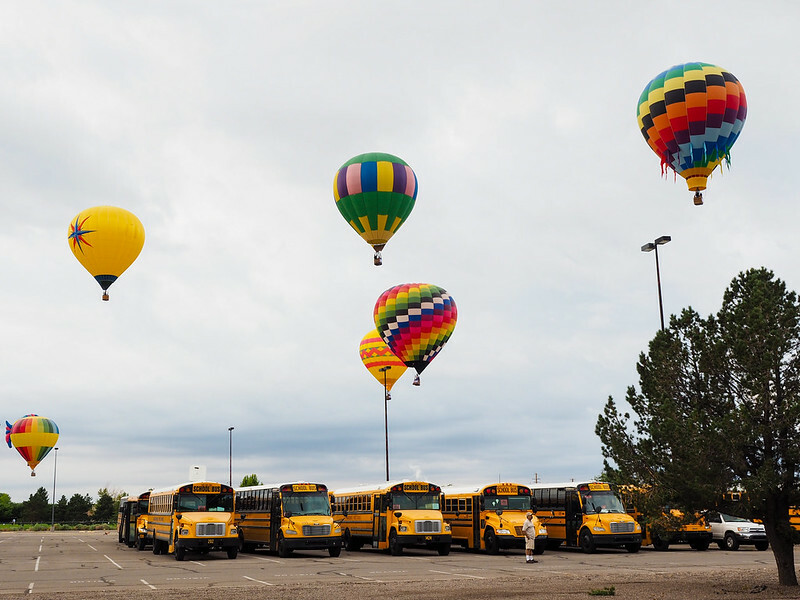 If you arrive too late, you'll be waiting in line at the parking lot as all the balloons are going up in the air. For the evening sessions, as long as you're there before dark you'll be able to see the twilight glow – I would recommend arriving before 6 p.m.
What is there to do? There are tons of food vendors at the event, some souvenir/memorabilia stands, as well as a section of fun activities for kids. In 2015, sponsor Canon also had a tent where you could go play around with some of their best cameras and high-end lenses to take photos of the event. And, of course when the balloons are on the field you can wander around and get up-close-and-personal with the balloons and their crews. This is really the unique part, since you can be surrounded by hundreds of balloons! Can I ride in a balloon? My balloon ride came as a perk of having a media pass to the event, but there ARE balloon rides available for purchase at the event. 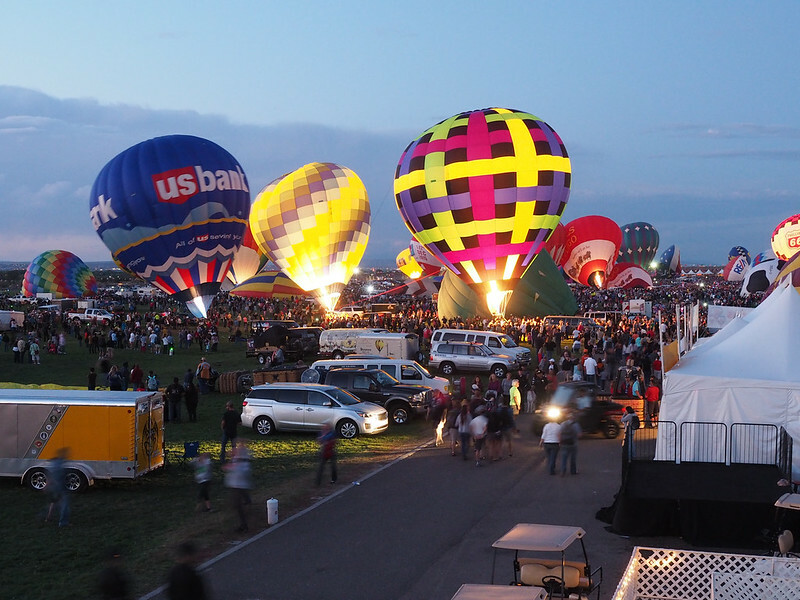 The are the only balloon flight operators with a permit to provide flights from the Balloon Fiesta Park launch field – meaning this is the ONLY way to be able to go up during the Mass Ascension. Tickets aren't cheap, though – $429 per person (and they tend to sell out). 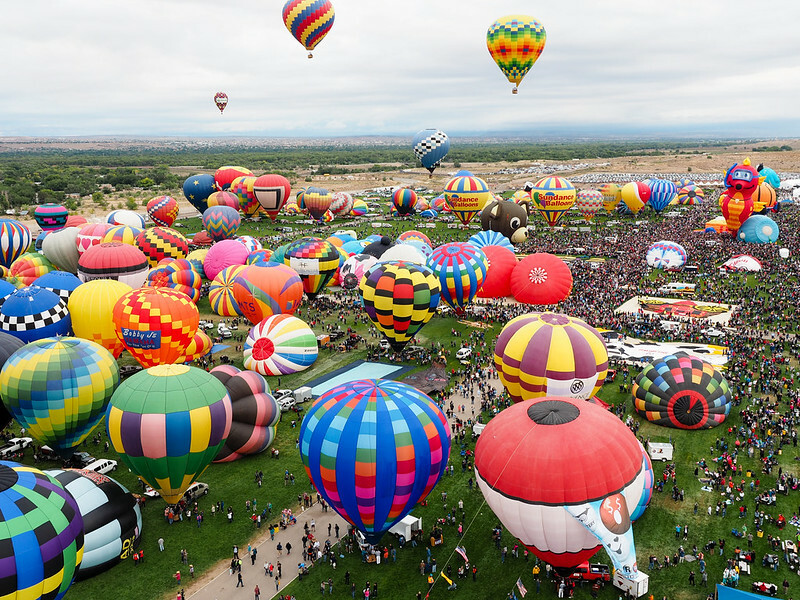 Have you ever been to the Balloon Fiesta? If not, would you want to go? Note: I applied for a press pass for this event, which is how Lisa and I got to go on balloon rides. I didn’t even know that this festival existed until a couple months ago. It looks REALLY neat and like a great excuse to check out NM! Exactly! New Mexico is actually pretty awesome – SO much amazing scenery, and not a very expensive destination at all! This was definitely my reason for visiting at this time of year. It’s amazing!!! Early October! I’ll remember the date. Thank you Akatuki! Yup, every year, usually the first two weekends in October! I’ve never been and would love to go. Beautiful pictures! Thanks, Liz! It’s quite a sight for sure. This is something that’s definitely on my bucket list! 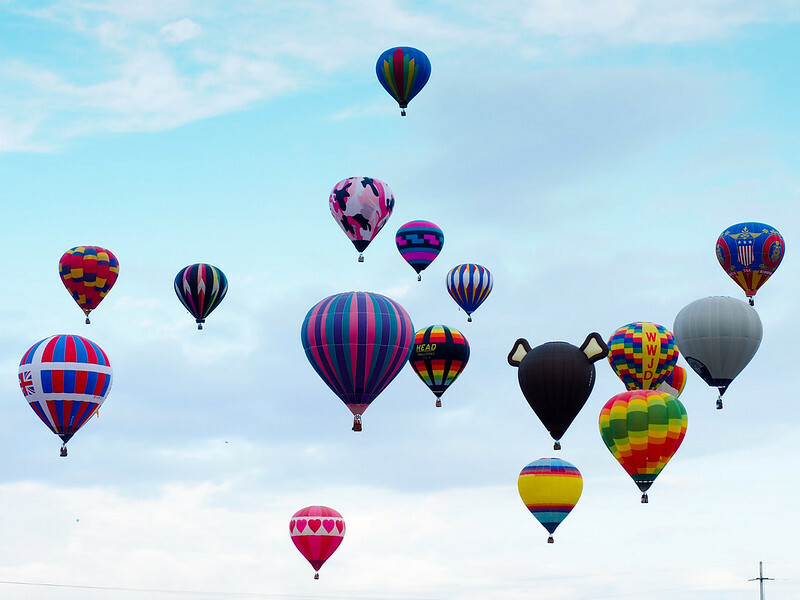 I’m not sure if I’d go up in a balloon or not, but just seeing the sky filled with them must be awesome! Yes, even just seeing them lift off from the field (especially since you’re free to walk around amongst the balloons as they’re inflating and lifting off) is incredible!! We wanted to go to the Balloon Fiesta this year, but unfortunately we didn’t have enough time to make it Albuquerque. I think that we’re going to try and make it there next year though, so thanks for the great pointers! I highly recommend it if you can make it! Such a fun event! And, really, quite affordable, too. Beautiful!! There was a housesit DURING the festival and I was kicking myself that we couldn’t apply for it! Nice to be there virtually through you! Oooo that would have been cool to be able to watch the balloons every day! Maybe next year! I went to the balloon fiesta with my parents a few years ago and it was amazing! 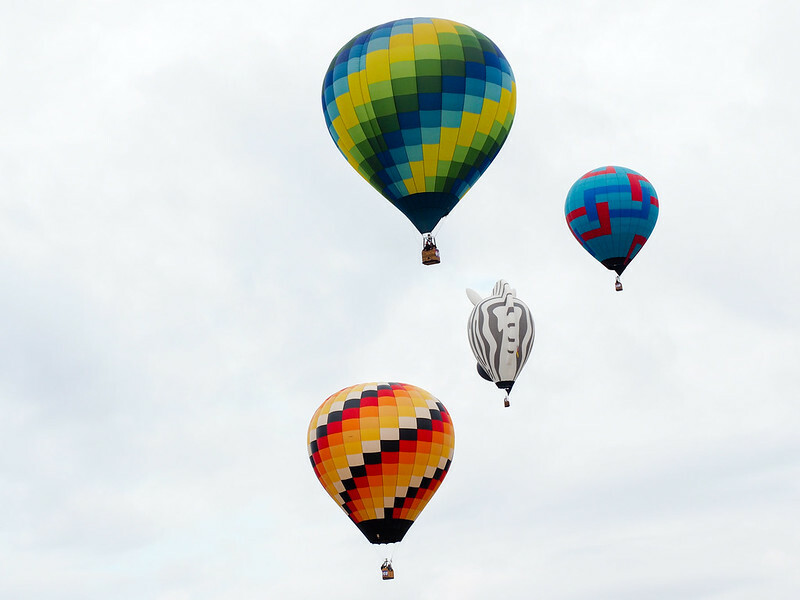 They weren’t interested in taking a balloon ride, but it was still super cool to watch them all go up en masse. The weather conditions were perfect that day and the balloons hovered in the sky for hours! That sounds awesome! I’m really thankful that the weather cooperated enough to have the balloons go up at least for a little while. But yeah, the weather wasn’t the most ideal when I was there! I’ve never seen anything remotely like this, either! It’s definitely a very unique event. Going up in a balloon is kind of a weird feeling. You really do just float! I haven’t heard of this Fiesta but I’d LOVE to go. This is like some incredible dream. There’s a huge hot air balloon festival in Canberra that I’d really like to see, especially to see the Skywhale (). 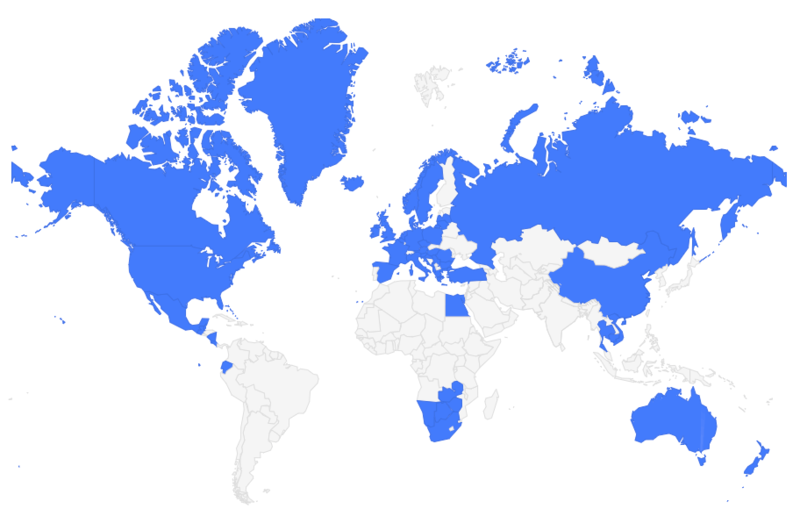 I think my trip to Canberra will need to be a priority in 2016! Whoa, the Skywhale looks crazy!! You definitely should go to that festival! Wow! $429 is pricey. I only spent 150 euros for my one hour balloon ride in Cappadocia, Turkey and it is like a mass ascension every single day with over 100 balloons in the air at sunrise. Probably one of the most magical experiences in my recent life! Ballooning in Cappadocia is definitely on my bucket list! I paid a similar price (over $400 for the sunrise balloon ride I did at Monument Valley). It’s so expensive because 1. it’s in the US and 2. because there are no competitors so they can more or less charge what they want! I went on a balloon ride when I was a kid, and it was a pretty cool experience, but this looks amazing. I’ve wanted to visit Albuquerque for a while, and it seems like early October is the time to go. Definitely! It’s a good time of year to be in northern New Mexico! 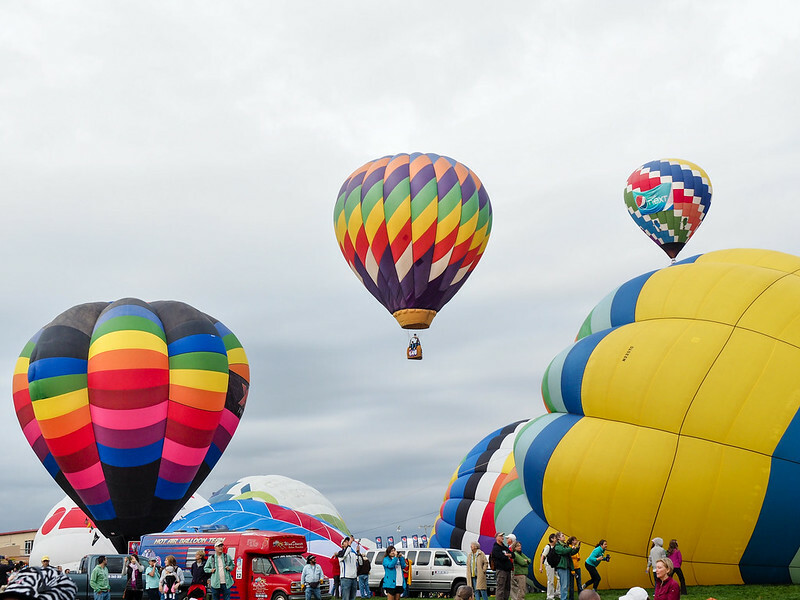 I have always wanted to go up in a hot-air balloon, and this festival looks like so much fun! I love how cheerful and bright all of the balloons are. Yes, it would be hard to not have a smile on your face here! I loved spotting all the special shape balloons, too! I’m such a sucker for pretty colours; combine that with balloons and this is such a pretty picture! I’ve never been up in a balloon before, I’m hoping to tick that one off the list in Cappadocia (I know cliche but amazing nonetheless)! Who cares how cliche it is – ballooning in Cappadocia is definitely a MUST! Wow, that is quite a photogenic festival! Will have to add this to my bucket list! 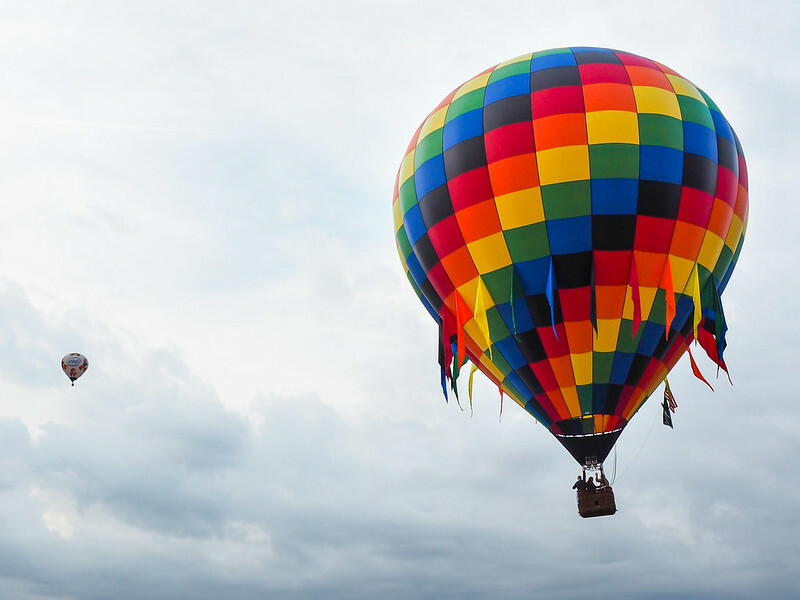 You can’t go wrong with hundreds of colorful hot air balloons! My friends actually took their engagement photos at the Albuquerque Balloon fiesta! I absolutely love all of your shots. I want to see it so badly. I actually took a quiz that says I should move to Albuquerque, so go figure! How cool! That would be such a unique engagement shoot!